We see in this chapter the ardent love H.P.B. felt for Russian culture, including its exoteric religion. 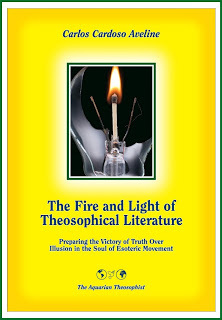 We must note that everything was not always easy as to H.P.B.’s ties with her family, once V. Solovioff started to attack the theosophical movement. For some short time he succeeded in creating a sort of family crisis. Later on Vera realized her mistake and fiercely defended H.P.B. against Solovioff’s lies and slanders. Besides her love for her country, H.P.B. letters to her family show how important it was for her to try to preserve intact the emotional ties with her Christian ortodox relatives, whom she loved so dearly. “The Letters of H.P. Blavatsky to A.P. Sinnett”, transcribed by A.T. Barker, Theosophical University Press, Pasadena, California, 1973, 404 pp., see p. 149. “The Letters of H.P. Blavatsky to A.P. Sinnett”, transcribed by A.T. Barker, Theosophical University Press, Pasadena, California, 1973, 404 pp., see p. 172. Vera’s daughters were also against H.P.B. for a time due to Solovioff, as one sees on page 149, right after the passage quoted above. During the winter of 1887 Novoe Vremya, one of the leading St. Petersburg papers, informed the Russian public that Helena Petrovna Blavatsky, a compatriot of theirs, had settled in London with the view of demolishing Christianity and spreading Buddhism, to further which she had already built a pagoda with Buddha’s idol in it, etc., etc. She immediately wrote a letter on the subject to the office of this newspaper, in a very good-natured and humorous tone, but unfortunately it was never printed. She certainly possessed a great faith in the undying nature of man, which amounted to knowledge, and without doubt she could have used her moral influence over her sister to console her. But the great kindness of her loving heart knew better than even this and she tried to soothe her loved ones with words about new, unfamiliar surroundings, her garden and birds singing in it, as simple as the first pangs of her sister’s sorrowing heart. The following two letters show how very open Madame Blavatsky was to new impressions, even in her old age. The first is from Fontainebleu, the second from Jersey, where she was taken by Mrs. Candler in the summer of 1889, less than two years before her death. Both are to Madame Fadeef.